Let’s face it – office parties are tough events to navigate for a long list of reasons. But for introverts, they are especially problematic. However, with the right planning and advice, there’s no reason why introverts can’t ace work gatherings and even start enjoying them. Is it worth your time? If your presence isn’t really required, you should consider saving your energy for more important upcoming socials. Set an objective. Having a goal in mind helps with socializing. For example, if you’re hoping to get in your boss’ good books, make a beeline for them at some point during the evening. Practice makes perfect. Having a think about introductory topics and conversation starters before the event can only put you in good stead. Recruit a buddy. Attend the party with a colleague that you’re close to. That way, you have a friend to keep you company while you’re settling into the event. Rest up. You need some downtime before social stimulation. Read a book, watch a movie or do anything that helps you relax. Be punctual. It’s much harder to tap into conversations when you rock up late, so try to be on time. Wear something bold. An eye-catching necklace or a vibrant tie can be an easy way to start a conversation and avoid small talk. Look them in the eye. Direct eye contact is so important during a conversation. Get into the habit of noticing the other person’s eye color. Find a quiet spot. Scout out a place you can retreat to if you need a moment – even if it means taking a breather in the toilets for a few minutes. Friends make friends. If you’re having difficulty talking to new people, hunt down a buddy that you can piggyback off to meet new friends. Go easy on the alcohol. Drinking in excess is a risky game. Swap alcoholic drinks for coke or soda at various intervals – your colleagues will be none the wiser. Offer a helping hand. If you have time to kill during the event, keep busy with tasks like party preparation or assisting with the clean-up. Don’t fear small talk. Introverts find it incredibly tedious, but just see it as a springboard to deeper conversations. Know your escape route. Find out how you can swiftly slip out of the party. Keeping that in mind will make you feel more relaxed. Recharge your batteries. Reward yourself with some quiet time – you’ve earned it! Taking a bath or going for a walk are good ways to switch off. Return to work. If the party was on a weeknight, don’t be tempted to call in sick the next day. You won’t be doing yourself any favors if you do! Keep the conversations going. Refer to things that took place at the party. It’s an easy way to build rapport with the workmates that you wouldn’t otherwise get a chance to. Congratulate yourself. Attending an office party is no easy feat for any introvert, so you should give yourself a pat on the back! 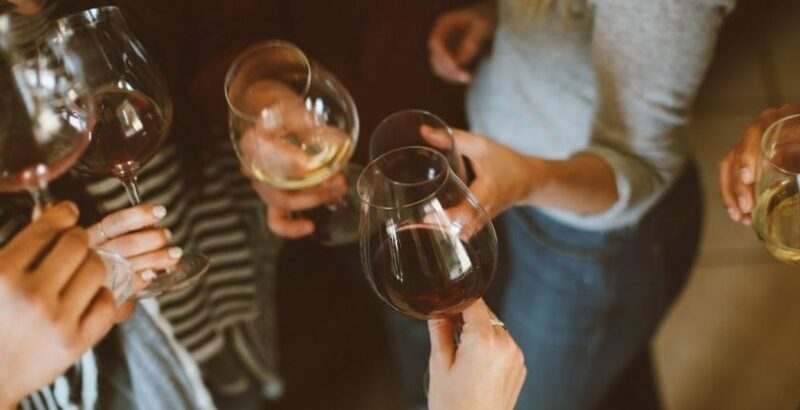 Social events are typically a playground for extroverts – but these simple tips will help any introvert make a success of all office parties. About the author: Luke Doyle writes on behalf of Simply Be and is based in Manchester, UK. When not sharing content, Luke’s passions include photography and travel.